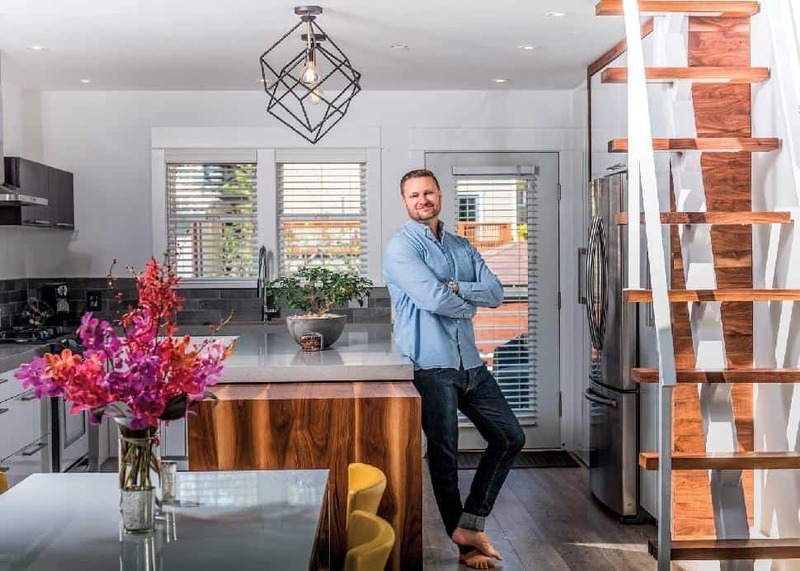 Sam Wainwright owns and operates Refine and Design Custom Homes and Renovations, a busy contracting firm he runs from a neatly appointed office in Vancouver’s Coal Harbour. The company offers a suite of building and renovation services for homeowners, and for bars, restaurants and other businesses. It’s a menu that keeps Wainwright’s phone ringing and his whiteboard covered corner-to-corner with details of upcoming and ongoing projects. On any given day, Refine and Design will have about 10 jobs on the go, with 80 to 90 people working on-site—17 full-time employees and dozens of subcontractors. Five-star online reviews on Facebook, Google, Yelp, Houzz and HomeStars help to push new business through the door. Wainwright figures his company will reach $3 million in sales for 2017, but it took years of expensive trial and error to get here. “This was a long-term learning and growing process,” he says of the business he started in 2006. “There were six years where I was kind of just skipping along—making mistakes, learning from them, and always trying to be honest and accountable for my actions.” Many contractors struggle with paperwork, a shortcoming that creates budgeting errors involving pricey materials and labour. Wainwright refused to have his customers pay for faults. All entrepreneurs face a flood of challenges from the moment they start a business, and streams of newer ones as their companies grow. Many business owners learn their first lessons the hard way, like Wainwright did, through doing and messing up. Family and friends usually offer whatever advice they can. But sooner or later, most entrepreneurs find themselves in need of outside expertise to guide them to continued success. Thankfully, a wide assortment of people and organizations are ready to provide help. Informal sources of advice, like peers in networking circles, are usually the closest at hand. Business associations and government-supported agencies provide more structured support. And of course, there are paid consultants who advise on any challenge or problem a company may encounter. The tricky part is finding the right advisers to suit your situation and needs. Small Business BC offers education and advice to small businesses as they start and grow. It’s a particularly good place to learn the basics. If you’re figuring out how to register your company, get licensing or make a business plan, this provincial government–supported agency is for you. New clients are offered a free assessment to sort out where they’re at, and what education and advice they may need. “Financing is our most common topic, with most people asking where to get it, how to get it and why lenders won’t give it,” says Bridget Field, Vancouver-based client services manager at Small Business BC. Market research is another critical issue that many clients struggle with. Some of Small Business BC’s seminars and services are free. Its paid services are designed to be affordable. Seminars on topics like marketing, accounting and sales cost from $39 to $69. A business plan coaching and review service is available for $299. For $49, entrepreneurs can sit down for a 30-minute consultation with industry experts on topics like intellectual property law, shipping or human resources, through the agency’s Ask an Expert program. Once you’ve got your wheels in motion, building a robust, trustworthy network will be critical throughout the life of your business. “When you have almost no network, it’s not just hard for you as an isolated individual, it’s hard to grow your business,” says Neil Belenkie, whose two-year-old company, The $2000 Coffee, helps businesses develop strategies to solve a variety of problems. For a flat fee of $2,000, clients work with its specialists over a single coffee meeting that lasts a few hours. “Your network is often where you’re getting your first customers from,” notes Belenkie, a Lower Mainland–based serial entrepreneur and former biotechnology CEO. A good network will also be your first and often best source for battle-tested advice. If you have peers who run similar companies, they’ll know all the challenges you’ll face first-hand. And when it comes time to seek paid expertise, they can point you to experienced advisers who have demonstrated their worth. Most businesses will run into roadblocks that can’t be overcome with only informal help from peers. Some problems require specialized expertise to solve, especially as companies grow larger and the issues become more complex. When you’re seeking out paid consultants or advisers, Belenkie recommends asking people in your network for references. Don’t be swayed by credentials like an MBA from a fancy school, he says. The best advisers are those who have taken companies where you want yours to go. Imagine you want to open a yoga studio. The perfect adviser, Belenkie says, would be someone who has opened one in a similar environment, with the same ethnic, socioeconomic and demographic brackets as the one you’re planning to start, and who exited the business the same way you hope to exit. Nobody will be a better resource than someone who walked the exact path you’re setting out on and now just wants to help others follow. Most of the time, though, entrepreneurs will be looking for help in specific areas of their business rather than a guru to guide them through their entire journey. So the ideal advisers are people who have targeted expertise in those areas. 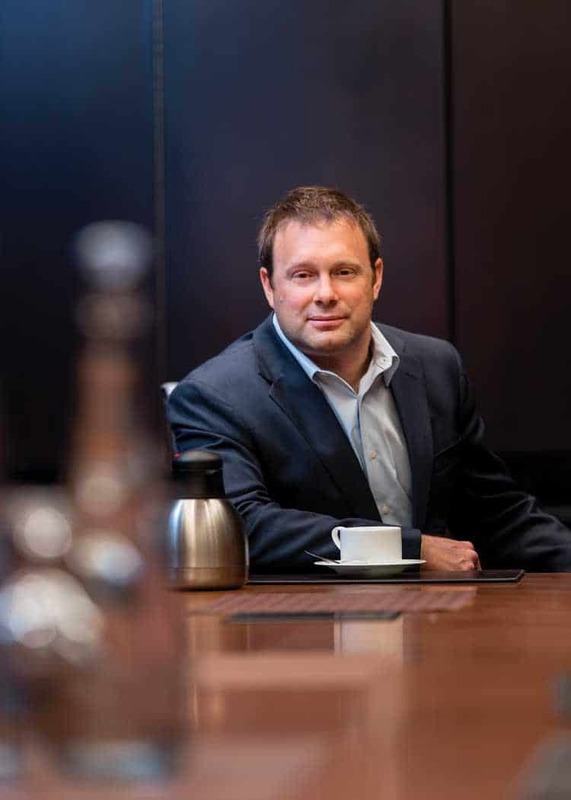 Paul Drohan has more than 25 years’ experience in the life sciences sector and holds a handful of titles including strategic adviser for Vancouver-based biotech startup Cyon Therapeutics Inc. But Drohan had little experience raising venture capital, so late last year he turned to Belenkie’s $2000 Coffee to help him find investors for Cyon. Belenkie connected Drohan with one of his specialists in San Francisco, who introduced Drohan to a select group of venture capital firms and helped him build a pitch deck tailored to their interests. “I think having that experience, she knew what people were looking for,” Drohan says. Different advisory and consulting firms offer different kinds of service and expertise. But most other advisers work with clients on larger efforts that last for weeks, months or even years. They’ll charge by the project or by the hour. Tara Landes is founder and president of Bellrock Benchmarking Inc., a Vancouver-based management consulting firm that specializes in helping small businesses—typically those with between 10 and 100 employees—get to the next level of growth. “We help them pretty much with whatever their biggest problems are,” Landes says. Those problems usually lie in back-end systems such as financial controls, production processes and team management. Grant Thornton International Ltd. is one of the world’s largest multinational accounting and advisory firms, but it focuses on helping businesses in what Vancouver-based partner Robert Reicken calls the middle market—privately held, owner-managed companies with $10 million to $100 million in revenue. Its bread-and-butter advisory services cover mergers and acquisitions, transaction due diligence, succession planning and risk management. Companies of any size should feel comfortable asking Grant Thornton for help, Reicken says. “Don’t be reticent to reach out and request a meeting,” he says. “Any strong firm is going to be very open to an initial meeting that more often than not is going to be an off-the-clock meeting that gives you as a business owner an opportunity to tell us a little bit about your business and allow us to assess whether we can play a role in the business and add value.” With a team of member firms spanning 130 countries, Grant Thornton can call upon experts who can handle almost any business-related issue. Consulting firms aren’t the only place to turn to for expert advice. Entrepreneurs shouldn’t ignore the growing number of accelerators, incubators and other business-support organizations throughout the province. Many are backed by various levels of government, in partnership with industry groups. Organizations like Accelerate Okanagan, Discovery Parks, Futurpreneur Canada, the Victoria Innovation Advanced Technology and Entrepreneurship Council (VIATEC), Basin Business Advisors and Wavefront provide startups and small- and medium-sized enterprises with knowledge, resources and industry connections. Accelerators typically focus on specific sectors or geographic areas. Valerie Foster is general manager of JSF Technologies, a Saanichton-based maker of solar-powered traffic signals that joined SIPP’s connector program. Her desk sits squeezed on the side of a garage-like room where workers assemble LED lights, solar panels and electronic control boxes. Nobody at JSF has an MBA or experience in scaling a manufacturing business. For her part, Foster juggles two jobs requiring completely different skill sets: she oversees production as well as business development and sales. SIPP has brought in three consultants who are working with JSF to improve aspects of the business, including sales tracking, branding and marketing. With their assistance, Foster hopes she can focus on fewer tasks while making the company more efficient. They love you and want the best for you. When you’re starting to look for advice, reach out first to the people you can trust most. Need help with the basics? This government-backed agency offers affordable seminars and consultations to help you make a business plan, register your company and research your potential market. Get to know experts and mentors in your field by connecting with industry associations, entrepreneur meet-ups and business networking groups. The more smart people you know, the better the advice you’ll get. You may be an expert at what you do, but consultants are experts at offering business advice. Ask people in your network to point you to pros who gave them help they valued. Choose advisers who have demonstrated expertise solving the exact problems your business is facing–and know the potential pitfalls you may not see. Do you run a manufacturer looking to streamline its supply chain? 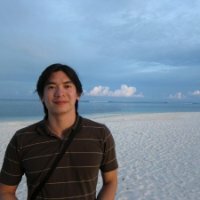 An IT firm that needs counsel on acquiring a rival? Find an adviser who has done just that for a similar company.